Princess Polish: ANNOUNCING: MAC Box of Chocolates Giveaway! 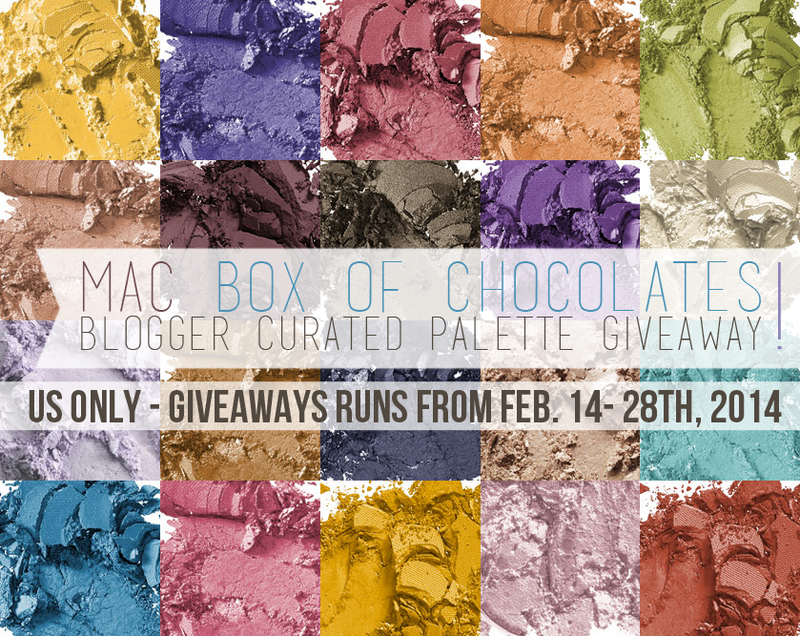 ANNOUNCING: MAC Box of Chocolates Giveaway! Myself and 29 other bloggers have gotten together to show our love to our readers with a special giveaway treat. An eyeshadow palette is like a box of chocolates - but this one has 30 different flavors inside each one chosen by a different blogger! We've put together a special blogger-curated palette filled with 30 of our favorite MAC shades in a MAC Pro Large/Duo Palette for one of our readers to win! The shades include our favorite neutrals to fun, bold colors and everything in between - but you'll have to win to see what they are! All you have to do is enter via Rafflecopter. US only! Giveaway starts February 14 - February 28th!